Many senior citizens have been successfully managing their own finances for their entire adult lives, but medical issues and other factors can eventually combine to make that financial management too much for them to handle. In addition, many older adults are often the targets of phishing scams and other types of fraud. Since some seniors aren’t tech-savvy, they can often be easily targeted by criminals looking to steal from them. The good news is that there are steps that seniors can take to not only help keep those good financial habits intact but can also protect them from these dangers. In this age of instant notifications and real-time account monitoring, it can seem like bank account statements are obsolete. Often seniors are used to living on a fixed income, which means that they might not check their statements very often or even feel the need to since they know how much they’re getting each month and where it’ll be spent. Not looking at account statements, however, can mean missed transactions—or even undetected fraud. It’s important to look over your loved ones’ bank statements for them if they don’t, to make sure there isn’t anything out of the ordinary. That will not only help keep your senior safe but offer both of you some peace of mind as well. If you do see something wrong, such as purchases the senior doesn’t remember making or obvious fraudulent charges, you can contact authorities, merchants, and other parties immediately to get the problem handled. You can request a credit report for free from the three major credit bureaus each year, and doing so can alert you about any new accounts opened in the account holders name, or any other issues that may be going on with their credit such as other financial frauds. When you receive the credit report, look it over carefully—and not just for new accounts. Check the addresses and recent inquiries as well. Sometimes scammers will use new addresses while making credit inquiries or applying for credit. Even if they are unable to open the new account, that attempt will leave a data trail in your loved one’s credit report that can alert you to a problem. If necessary, you can also put a freeze on a senior’s credit report to ensure that no one can apply for credit in their name. Keep in mind that if you do this, they will also not be able to apply for credit while the freeze is active, so if they’ll need more credit later the freeze will need to be taken off. Many seniors are used to dealing with cash since they grew up in a cash economy. It might seem more comfortable for them to keep cash in the house, but this can make them vulnerable to door-to-door scams and other crimes. Instead of keeping large amounts of cash in the home, encourage them to use debit or credit cards instead. They’re easy to use and offer a layer of protection from direct theft and fraudulent purchases. You may also specifically consider getting them a credit card with an authorized user so it’s easier to monitor their account to make sure nothing suspicious is going on. Make sure they know the dangers of shopping online and give them pointers of common scams if they don’t already know. Additionally, seniors should avoid running into credit card debt; average credit card debt is roughly $5,638 for people aged 75 or older. Being mindful of this and tracking expenses can help avoid carrying a balance on a credit card. High-interest rates can lead to problems if the debt is left unpaid. Aside from the cost, a senior’s credit could be damaged if they miss payments. If a senior is already dealing with credit card debt, they could consider consolidating it with a personal loan. The best personal loans have rates as low as 4.99% for creditworthy applicants, which may help save money on repayment. Another benefit to using bank accounts and plastic is that you can set automatic notifications for any activity that looks suspicious, alerting you to potential problems immediately. Credit cards, for instance, monitor for spending patterns that seem out of the ordinary, such as charges originating in foreign countries if your senior doesn’t travel. By setting up automatic updates, you’ll be able to catch any fraud or crime immediately, which can mean the difference between your senior being a long-term victim and stopping any fraud in its tracks. It can be uncomfortable for an older adult to get an authorized signer on a bank account if they’ve spent their entire lives being independent, but an authorized signer can be a great tool in safeguarding against rash decisions for people of all ages. With an authorized signer, no large purchases can be made without a second signature—and that can help protect against fraud calls that demand large sums of money immediately, as well as other types of fraud that target seniors. Some scams against seniors try to convince them that someone they know and love, such as a family member, is in trouble somehow. Seniors often wire thousands of dollars to these scammers, genuinely convinced they’re helping a loved one in an emergency. With an authorized signer, a second pair of eyes can see these scams for what they are before the senior gets victimized. When choosing a party for the authorized signer, make sure it’s someone that you trust, and set it up so that they cannot make purchases or access any of the assets on their own. This way they can’t also steal any of the senior’s assets; they’re merely there to offer a verification in case a senior wants to make a large purchase. Andrew Rombach is a Content Associate for LendEDU – a website that helps consumers and small business owners with their finances. When he’s not working, you can find Andrew hiking, hanging with his cat Colby, or edge guarding in Super Smash Bros.
People are getting older faster than they ever have before. By 2033 the number of people over the age of 65 will overtake the number of people under the age of 18. It’s difficult to stay independent as you get older. In the next ten years over 11 million adults will stop driving due to age related impairments. Over 8 million have no smartphone and no experience with new technology. Many of them will be forced to rely on a patchwork of friends, family, community members and caregivers to get around. I experienced this reality first hand when my grandmother lost her ability to drive. She lives far from relatives and doesn’t have access to public transportation. She had always imagined she would stay in her home forever. She didn’t want to leave. We believed we could use technology to help her find transportation. The first version of GoGoGrandparent let her easily request a Lyft or Uber ride by dialing a phone number. Using her old school flip phone, grandma ordered herself a ride to her favorite diner. It was the first time she was able to take herself out after dark in a year. That was 2016 and since then we’ve realized that transportation for seniors is a lot more than just ‘dumbing down’ technology. Getting a ride has tons of moving parts that get harder to handle as people age. What makes GoGoGrandparent successful today is we combine requesting rides via multiple platforms with actively managing and monitoring those requested trips. Actively managing the complexity has been key to making our product work for seniors. Today about 40% of our clients are using us with smartphones because “it’s just easier”. Because we’ve witnessed this fundamental ‘things-get-harder-as-you-age’ problem we firmly believe that GoGoGrandparent is positioned to solve more than just the transportation problems of today’s seniors. We believe we can meaningfully solve the caregiving problems all of us will eventually face and give people the choice to live in their homes for as long as they want. Tips For Easier GoGoGrandparent Usage — Saved Locations & More! When a registered member of GoGoGrandparent calls in, they have the option of speaking to our operators or using the automated menu system to request rides. 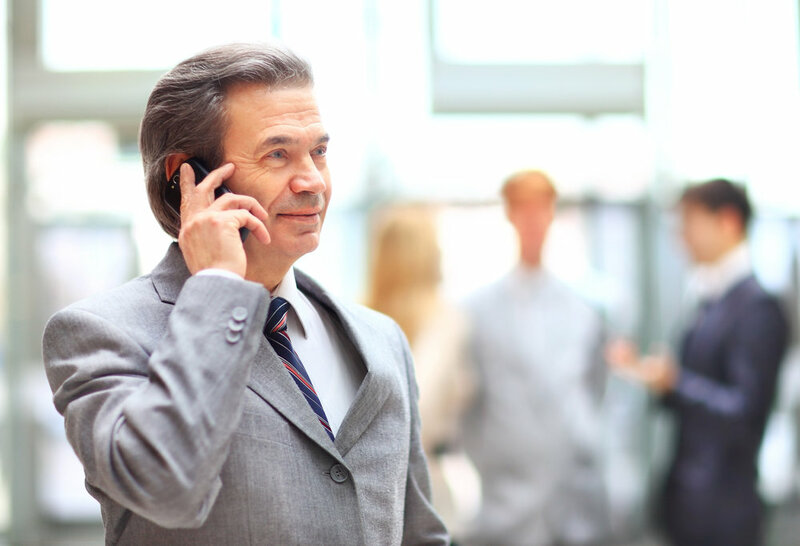 Many of our callers prefer talking to an operator, and we love helping you out! Below are some tips for those who want to jump straight to requesting a ride or want to know a little more about some GoGo features. Saved Locations? Skip The Operator. When you call our number 1 (855) 464–6872, you have the option of requesting rides at a touch of a button. Push 1 to request a ride from your saved home address. Push 2 to request a ride from your last known drop off location (this only works if you’ve been dropped off by us within the last three days). Push 3, 4 or 5 to request a ride from the corresponding saved custom pickup location. You can save these locations with an operator. Push 6 to get a ride request fast tracked through an operator. Push 9 if you want to use the automated voice recognition system to order a ride by saying the address out loud. Push 0 to speak with an operator for any non-ride request related questions or concerns. 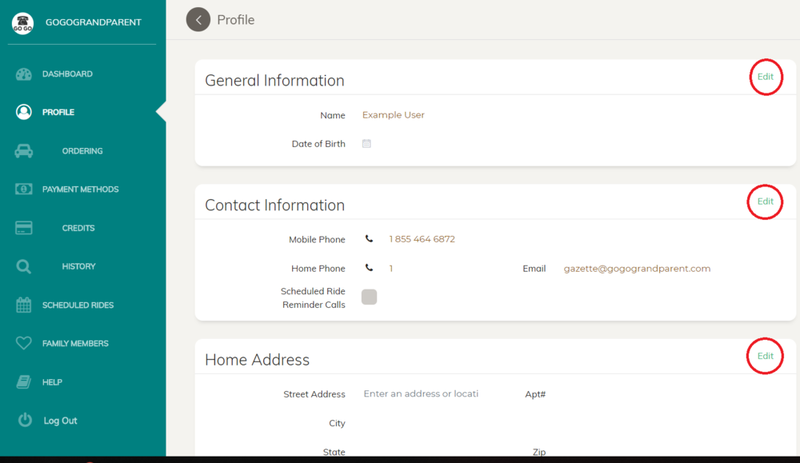 Below is an example of a form that our operators will fill out to save your custom location — this can also be done through your online dashboard found at app.gogograndparent.com. Most of the information will auto fill, so don’t worry about the longitude/latitude unless it is a complicated spot. Read more about how we use coordinates here. This form can be found on your online dashboard or through an operator. By default, registered callers that press 1 will request a car to pick you up from your home. Pressing 2 will request a car to your last known pick up location. But what if you’re not at either? You can wait on hold to speak to an operator, or if you get picked up from somewhere frequently, we can add that location to your menu! Once that happens, you can press the number saved to your location, either 3, 4, or 5. An additional benefit of saving custom locations would be if you are at a place that has a complicated pickup location or if you have special instructions (if you’re at a large park or have groceries.) 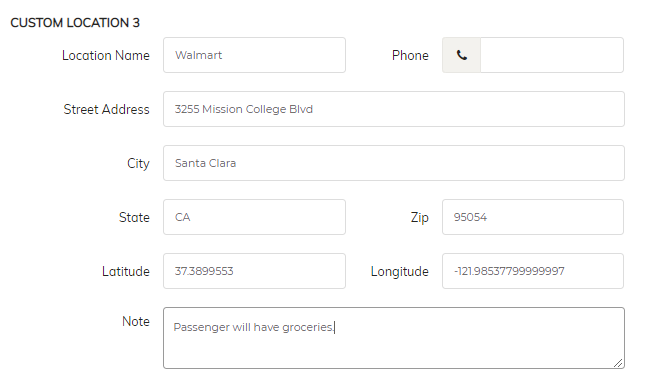 Rather than telling the operator every time, set up a custom location and add a note with it! We’ll tell the driver the same thing every time you order a ride from that location. Once you are ready to save a custom location, follow these steps for easy ordering. 1) Identify a location that you frequent. 2) Call 1 (855) 464–6872 and tell one of our operators you want to save a custom location. The operator will ask you to name the location, and give you the option of custom location 3,4, or 5. 3) Once saved, all the necessary information to get picked up will be on your GoGo Profile. Let the operator know you want to get picked up from the saved location, or press the menu option when prompted to skip the operator. GoGo is always looking to improve the ease of requesting rides. If you have a suggestion, question, or concern feel free to give us a call at 1( 855) 464–6872 and we will gladly take your feedback. You will need your email connected to your GoGo profile. If your email is already connected, click “Forgot your password?” to get a new one.